Trust is of importance in all forms of commerce, but when it comes to buying goods online, it is of critical importance. Will my credit card be ripped off? Will the goods arrive on time? Will the goods ordered be the ones that arrive? These are all concerns that we have when ordering from an online retailer. However, for most of us, trust is also something that we rely upon when ordering wine. When we are being honest with ourselves (and not trying to show off to our date), few of us honestly know the most appropriate wine pairing at a restaurant and thus rely on a recommendation from a Sommelier. Even in a Supermarket, we may know a grape and a few of the more commercial brands, but how often have you relied upon a special offer (and how often discovered when you arrived home that it was reduced because it was corked or past its best….who says that all wine improves with age?!) Of course, at least when you can buy at a store, there is a chance that at least for the specials, they may offer you a tasting or if it is truly bad, you can return it easily. Why would anyone buy online? Choice and price are probably the most common answers. For many of us, local supermarkets or wine stores offer only commercial brands which can be bought in large quantity, online stores may offer a much broader range including the much vaunted ’boutique’ wines and international wines. Price is often a good reason to buy online, but in the case of wine, may not be the principal reason. Those seeking the best prices are probably more likely to head to their local supermarket. So if it is choice you are seeking, what should you look for? If you are ordering directly from a vineyard (or online cellar door), then just take the usual precautions when ordering online. However, if you are looking for a range of wines, then you need to find a trustworthy retailer. Just as you might trust the sommelier at a restaurant you visit often, try to find a retailer that describes the wine in terms you understand and doesn’t just push whatever is surplus that week! The retailer should provide an independent view on the wine and provide an unpretentious analysis. Perhaps a weekly newsletter will summarise new arrivals making comments as to their quality and to their value. There is no great benefit in being told that a wine that costs $200 per bottle has been rated 95 by Robert Parker, there is a far greater benefit in being told that a wine that costs $9.99 is currently drinking like a bottle three times its price and is best drunk fresh and soon! It is also always good to look for a wine on their lists that you know and like (or for that matter dislike) and compare their thoughts to your own. It’s unlikely that only one person is writing opinions on the website, but if you share some feelings in common on one or two wines, it’s definitely a good start. Another worthwhile exercise is to send them an email, asking a few questions. Perhaps ask about a vineyard that they don’t stock or an older vintage. Ask what happens if you order a case and find that the wine is not to your taste whilst drinking the first bottle? See how quickly they respond and whether the tone of the response is courteous and meaningful. You may well be building a relationship with this retailer. Finally, make sure that they are not taking advantage of tax. This is often the case when you are buying internationally. For example, a retailer in Australia sending wine abroad should deduct the local taxes from your bill. This can go some way towards paying your insurance and shipment costs. 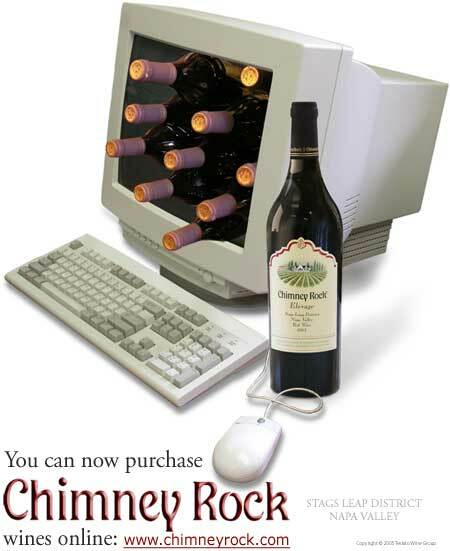 So buying wine online can be a pleasant experience. In these days when mass market retailers rarely pay for staff with decent knowledge, it is refreshing to know that online, you can find someone you can trust!